Parties, whether you are the host or the invitee, are meant to be fun filled times. A good party has only one secret and we are going to let it out: it is the feeling of excitement enhanced by a welcoming drink, deliciously presented food and a happy mood. Make the menu harmonious in taste, texture and colour so that it appeals to the eye and stomach both. Design the menu to take advantage of what’s in season. There is virtue in simplicity. Plan dishes that complement each other in terms of work they require. Be sure not to plan a lot of dishes that need last minute cooking. Garnishings like sprigs of herbs, ginger julienne, onion rings, lemon wedges, etc pique appetites. Surprise you guests by whipping up a Jal Jeera using club soda and a mint sprig. Crushed ice is an option.Purchase the savouries or starters or put them together using easy ingredients. Small appetizers are a hit anytime. • Play with cracker bases, papdi bases, salted biscuits or even basket Canapés. • One can stamp out small cookie sized rounds from large readymade pizza bases and top them with a variety of toppings. • Serve cheese straws with dips or for the more health conscious Vegetable Crudités. • Pass around bowls of roasted nuts or salads that can be picked up with tooth picks. Another suggestion is to decide where the focus is: one can serve more of starters and appetizers with mocktails and play down the main course or vice versa. The best options that can be served up quickly are fragrant pulaos with raita and papads (roll them up or fold into triangles) or stew with garlic bread. If time permits, Chole Bhature is another fantastic offering. Farewell would be with Chocolate Paan Rolls. Yes. Meethe paan (kalkkati or benarasi), dipped half way through in melted chocolate and served chilled. Unforgettable. One tip: If it is a Diwali party (which could be somehow happening much after Diwali is over!) see to it that light, low fat snacks are served. Go slow on the sweets and desserts as the festival time would have meant indulgence in sweets and savouries for many! 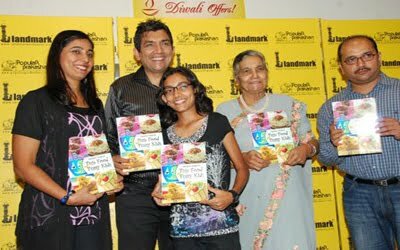 More Diwali recipes. Diwali recipes: Setting the low calorie trend! The world revolves around snacks! And with the festive season on, it is quite natural for many households to put the kadai on and fry till all the snack tins are filled to the brim. Be it crunchy snacks that can be stored or fresh ones that need to be served immediately, the fact remains that if not fried then not tried! We do serve idlis and dhoklas but people look forward to bingeing during pre Diwali, Diwali and even post Diwali days…the contention being who would finish off everything at home! Are you the one who has always been the one for snacks? Then right now, right here we have some ideas for low calorie snacks that can totally satisfy you with their variety as well as the fact that though low in fat they are high in taste. They will keep the crackling spirit of Diwali alive, don’t worry. Bhel: What a nice crunchy medley! Puffed rice, chutneys, onions, tomatoes, potatoes… all together a healthy snack. Recommend that you keep a tin of lightly roasted puffed rice in your snack bin. As now we are calorie conscious skimp on the sev and puris otherwise it is a perfect dish. Even dry bhel without chutneys and a dash of lemon is enjoyable. Play with ideas: add sprouts, fresh pomegranate pearls, cucumbers, peanuts…mix up the bhel when the visitors come in and make it as colourful as you can. Try out Sprout Bhel. Baked karanjis: A traditional snack with the smack of modernity! Try these and know that these and are unbelievably good. You can even make the stuffing healthier by including dates and anjeer. Check out Date and Anjeer Baked Karanji. So give the ghee a glad miss and let the oven do the cooking. Corn: Corn niblets make a kingly snack. Just boil for three to four minutes and serve warm with a little knob of butter and a dash of lemon. Add salt and a pinch of red chilli powder. We suggest Corn Bhel with boiled niblets, onions, tomatoes, cucumbers and chutneys and you can top with crushed cornflakes and give sev a miss. Corn with tomato salsa also tastes excellent on plain wheat khakhras. Idlis: When you make idlis try different toppings so that they become a handy, tasty, spicy snack that is low in fat. Try to be creative so that the final result is attractive. Invest in cocktail idli or button idli moulds. These small idlis with toppings look delightful! Kanchipuram idlis served banana leaf is so very festive in looks! Fruits: A whole fruit – be it an apple, a banana, an orange or some plums or pears, are unmatched in their nutritive properties. To make things different cut some up and sprinkle with chaat masala. Garnish with a flourish of a tomato rose! A Fruit Chaat like this can be quite filling and of course, quick and low calorie! Fruits can also help make smoothies that are easy to make and easy on the palate too. And of course you can give the coloured synthetic sweet syrups a miss and bid the colas adieu. Set the example with these Diwali recipes this month and see the fun next year round! Diwali recipes – The traditional with a health twist! Festivals bring on two emotions: joy and happiness…of being with family and friends celebrating with the choicest of traditional sweets and savouries. But now things are a little different, aren’t they? We no longer want to have the deep fried samosas and mawa burfis. But we still want to have the traditional festive foods! The balance is struck when we make some healthier versions of the traditional festive foods. A change for the better is always welcome. We can bake our samosas and karanjis with ease and make halwas less sweeter. We can substitute refined flour with whole wheat flour. Some sweets can be made using sugar substitutes whereas dates are a good addition as a sweetener too. Even ice cream is tastier and healthier with fresh fruit puree like Yogurt and Chickoo Icecream. We realize that it is better to stress on use of less oil, less trans fat and less sugar. It holds true for all age groups. So why not make a beginning this season by creating more awareness about the latest health trends? Make these Diwali recipes, gift wrap them if you may, and floor your friends with fresh home made sweets and savouries that are high in health and taste! One could well imagine having custard and kheer with a sugar substitute. There are mithai shops now with a separate counter for sweets for diabetics! The base of such sweets are dates or figs but the fact remains that there is no added sugar. In fact the skeptical would rather prefer to make the same at home and be sure that there is no added sugar. Try the Date and Hazelnut Laddoo. Jaggery also is a good sweetener and can be added to kheers if someone does not prefer to use sugar substitutes. Well, the features of the two are different but at least you can avoid granulated processed sugar. It is also difficult to contemplate sweets or mithais with less ghee. For that matter halwas and laddoos are not possible. The alternative at this juncture could be fruit based halwas made in nonstick cookware. Yes, you would need a little ghee but not as much as a flour based preparation. Some people just chill fruits very well, chop and enjoy as a dessert. That’s perfect because they have the satisfaction of a chilled, sweet ending to a meal. Certain enterprising sweet tooths would also use a trick or two and have rasogullas, after draining them and then squeezing out the sugary syrup. The taste remains the same but the sugar intake is cut down! It is going to be a busy bustling time in office and home…for Diwali is around the corner and there is so much to do. Thoughts veer toward gifting ideas and making lists…thoughts veer toward sweets and snacks and many party menus….also some creative thinking about how to go low cal! 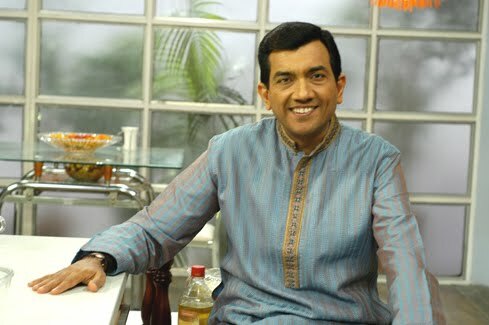 www.sanjeevkapoor.com can help you to earn i-mint points on your i-mint card! Also in three four days, on Oct 22 to be exact, launching the book Fun Foods for Fussy Kids at Landmark, Palladium, Phoenix Mills Compound, Lower Parel. Time is 5.30 pm. It would not only help solve what to serve fussy children, but it’s an excellent gift to give this Diwali, I feel! The book could not only make you happy, but also your sister, sister in law, friends, and aunts….whoever has difficult-to-handle kids. Preparing for Diwali is fun actually. As the weather is also improving with a little nip developing in the air, I think its going to be a pleasant ride for a while. Let’s enjoy…with some healthy food for dinner. Diwali comes and goes but what remains is a pile of mithai boxes that you really do not want to finish, or then you would have some snack tins filled with variety of different chaklis and karanjis that have been lovingly presented to you by your near ones and dear friends. Do you want this Diwali to be the same? Let us look at different ways that snacks and sweets can be offered to your well wishers…you would certainly enjoy making them, and they will certainly love to demolish them. I have indulged in some exotic vegetarian kabab recipes this season. Look out for novel ways to fill up your guests because traditional fare is welcomed…like a damp squib! So what if you take some mozzarella cheese and convert it into Chhupa Rustom Kababs? You would require an outer covering of potatoes with blanched peas and spinach and in the center keep a small cube of mozzarella. Roll in cornflour and let it go into the kadai. Drain well. As you bite into it, soft melted cheese oozes out much to the surprise of all. Mozzarella that way is a lot of fun to work with. Try Fried Herbed Mozzarella which can easily be made by coating slices of the cheese with breadcrumbs flavoured with basil and parsley. We need to add more colour to the platter. Take a prune. Stuff it with a cherry tomato. Now cover this with a mixture of potatoes and blanched pureed spinach. I would flavour it well with garam masala and chaat masala. Shape into tikkis and shallow fry. A surprise package with a marvellous textured filling. Or if you want to go back to the shahi presentations try the Rajma Galouti. Boiled mashed rajma with sunflower seeds, poppy seeds, khoya, saffron soaked in kewra water, cashewnut paste…formed into tikkis/kababs and shallow fried in pure ghee. Replete! Let me take it one step further: exotic Asparagus and Green Peas Kabab with Avocado Chutney. Yes, the name might be a mouthful but the procedure is simple. And yes, you would not only need fresh asparagus and peas, avocados and paneer but also a couple of star fruits for stuffing. The purees of asparagus and peas are first cooked till quite thick and mixed with roasted gram flour and fresh paneer. Put chaat masala and seasonings and shape into tikkis stuffing them with chopped star fruits. Shallow-fry. The avocado chutney takes smoothness and tartness from blanched tomatoes so the colour is quite attractive too. More Diwali snack recipes.